Per 1 September 2018 all vehicles and heavy machinery that have diesel engines in Indonesia will need to use diesel that contains fatty acid methyl ester (FAME), a type of fatty acid ester which is obtained from palm oil. 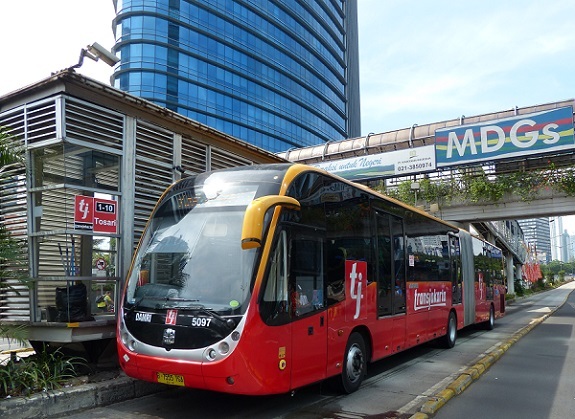 This new rule is part of the Indonesian government's expanded B20 program that makes it mandatory for all vehicles to use biodiesel that consists of 20 percent biodiesel and 80 percent petroleum diesel. Currently the B20 program only covers subsidized diesel fuels. However, starting from Saturday (01/09) also non-subsidized diesel fuels will contain FAME, hence becoming biodiesel. All Indonesian fuel stations will not be allowed to sell unblended diesel fuel from this day. If companies continue to sell unblended diesel, then they will need to face sanctions. First a cent per liter fine will be imposed for selling unblended diesel. Then if the situation has not been resolved after three warnings, authorities can revoke the companies' licenses. The expansion of the B20 program was sped up after Indonesia's trade deficit and current account deficit worsened in 2018, while the rupiah exchange rate has been under heavy pressure since February 2018. The expanded B20 program aims at somewhat relieving pressures on these deficits and on the rupiah because there should occur a decline in imports of fuels into Indonesia. Government officials had earlier stated that the expanded B20 biodiesel program would help save billions of dollars in diesel imports. According to the Indonesian Automotive Industry Association (Gaikindo), there will not by any negative impact of the biodiesel on vehicles' engines. However, General Gaikindo Chairman Johannes Nangoi does advise owners of old vehicles (especially trucks and buses) to clean the tank and gas channel before refueling using biodiesel.